This book was a lot of fun. I have favorite authors in the romance genre, so it’s pretty hard for me to let go and take a chance on a new author. All I can say is that Susan Elizabeth Phillips must be a fire cracker in real life, because this book had a certain zing to it. Now, before I get into the book, I want to say I checked some online reviews on Amazon. I’m always curious to see what other readers think of a book, especially if I enjoyed it. 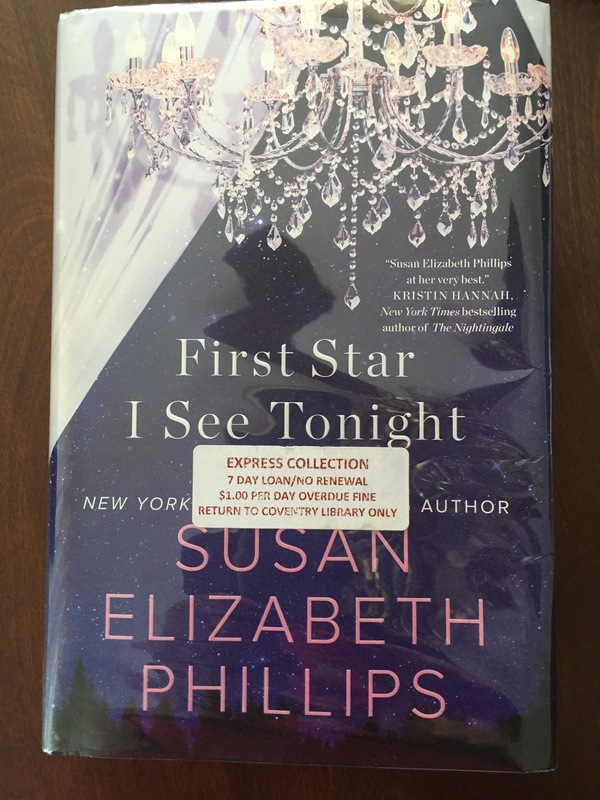 Unfortunately, some long time Susan Elizabeth Phillips or SEP fans were not pleased with this book. They felt it was one of the weaker entries in her catalog. Really? All I can think is that her good stuff must be phenomenal because this book, in my opinion, was pretty great. Our heroine, Piper Dove, is trying to establish herself as a private detective. She has just used all her savings to buy her father’s detective agency off of her stepmom. At first I thought she was going to be one of those characters who thinks she’s tough but really everyone can see that she’s a bit eccentric and ultimately a sweetheart. Cooper Graham is the driven winner type, confident and self-assured, tenacious and stubborn. He is the solid, grounded one in this story. His goal is to make his nightclub, Spiral, a success and then open a chain of them. We learn that Piper had a difficult time pleasing her father, and that her dad raised her more like a man and refused to let her show emotion, especially tears. Refreshingly, Piper is tough, loyal, and mouthy but she has the skills to back it up. When the story opens Piper’s failing miserably at her job. She has been spotted by Cooper Graham, an ex-football player and her first assignment, the man she is supposed to be stealthily following. There’s a funny scene with Piper claiming to be Esmerelda where she admits to following Cooper because she’s not right in the head, and (so as not blow her real cover,) that she’s a stalker. I loved how SEP turned the tables a bit in this story. Every time one of the characters got caught in a bad light she would have them ride it out head on and twist the logic of the situation to try and make the scenario believable. And then the characters would laugh at themselves because it sounded preposterous. It was a lot of fun and I really liked this technique for character development. Cooper confronts Piper and wants to know who she’s working for. Piper refuses to tell even after Copper threatens her with a lawsuit which would financially cripple her. Her very loyalty is what Cooper appreciates. He hires her to clean up the club. Piper is actually great at spotting fraudulent behavior and is better at computer detecting then stake-outs and the like. With her defense training she makes a great body guard. As we read along, we find out that they are both really stubborn and their banter is hysterical. Snarky, funny dialogue is hard to do well. Hats off to SEP.
Are their some twists and turns in the book that come out of the blue? Yes. For some reason around the two-thirds mark I lost some reading steam. I think the overall plot changed a bit here. There is only one more point I’ll address. Many readers felt that Piper’s stance on marriage and kids was carved in stone. She stated a number of times in the book that she wasn’t interested in either and then boom she gets married. (The HEA) I didn’t take it that way. I took it more like she didn’t know she could trust someone that much and that she refused to let herself fall in love with anyone, until Cooper. Let’s face it. Piper had some emotional baggage. I liked this book so much I visited the author’s website. I give this book a solid 4 stars. I will definitely be reading more of SEP’s books. PS This book is a stand alone novel, but their are several books in this series. They all revolve around football players.